The daring feat captured the imagination of a Depression-weary public. 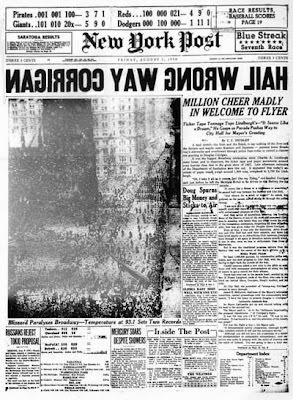 Hailed in the press as “Wrong Way” Corrigan, the likable Texan became a national celebrity overnight. 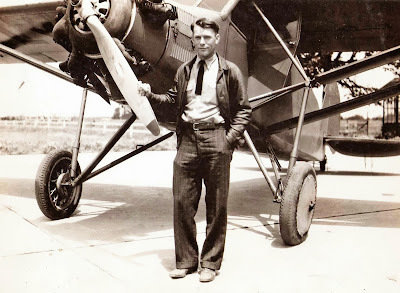 President Roosevelt even got into the act, saying he never doubted the young aviator's implausible explanation for a minute. Returning to the United States by sea, America’s newest aviation hero was greeted in New York Harbor by ships blowing their whistles and fireboats pumping streams of water into the air. 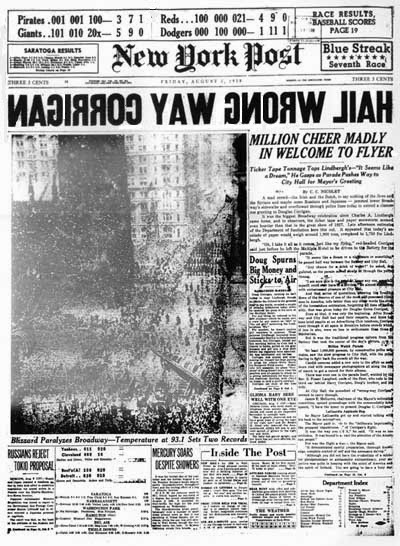 He was also given a ticker tape parade down Broadway where he was cheered by more than a million people, a number that exceeded the welcome for Charles Lindbergh after his historic flight to Paris eleven years earlier. 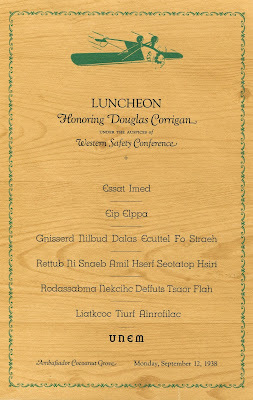 In September 1938, Corrigan was honored at a luncheon at the Cocoanut Grove in the Ambassador Hotel in Los Angeles. 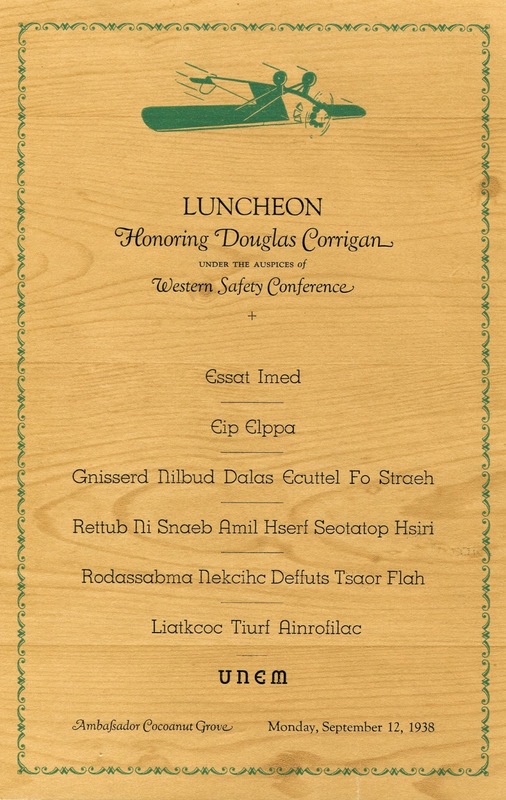 The banquet menu below is printed backwards, employing the same format as the newspaper headlines. What is more, the courses are listed in reverse order and his rickety airplane is shown flying upside down, further embellishing the running joke. 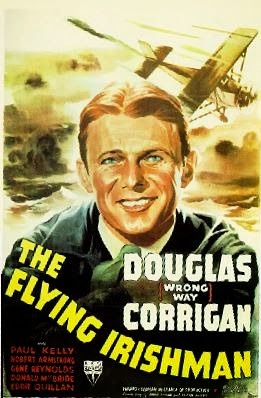 Corrigan quickly wrote a book which was published in time for Christmas that year and RKO Studios released a movie called “The Flying Irishman.” During all the publicity and forever afterward, Corrigan maintained that he had just done a poor job of navigation, causing him to land more than 5,000 miles from his intended destination. Oh, that's a good one, Henry! Made me a little dizzy reading it but great good fun as always!! !